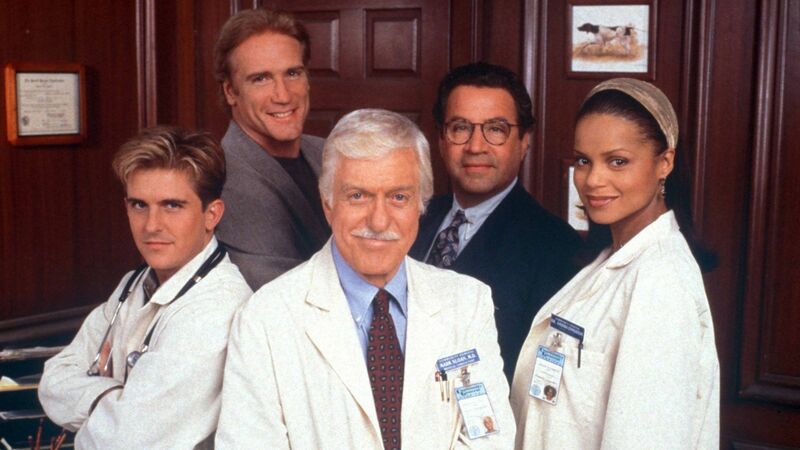 Here's where to watch every episode of Diagnosis: Murder season 4. Mouseover or tap an episode to see where to stream it. Click or tap the play icon to stream it on the best available service. Murder by Friendly Fire Sep 19, 1996 One police officer is accidentally shot by another during a raid gone wrong. Dr. Sloan investigates the victim's wife, the shooter, and a conniving lawyer when he suspects foul play. Murder Can Be Contagious Sep 26, 1996 A burglar inadvertently becomes infected with a deadly virus. Dr. Sloan and Jesse are subsequently exposed to the virus after Jesse stumbles upon the thief's dead body. Both Mark and Jesse are confined to Mark's home while Steve and Amanda investigate the drug company that manufactured the virus, in the hopes of discovering an antidote before Jesse runs out of time. Murder on Thin Ice Oct 3, 1996 A figure skater hires her ex-coach to attack a rival skater. Dr. Sloan tries to prove her guilt. X Marks the Murder (1) Oct 10, 1996 Mark, Steve, et al, investigate a string of the so-called ""Casanova"" murders. Dr. Sloan loses his detached perspective when the killer begins calling Mark. X Marks the Murder (2) Oct 10, 1996 Mark, Steve, et al, investigate a string of the so-called ""Casanova"" murders. Dr. Sloan loses his detached perspective when the killer begins calling Mark. A Model Murder Oct 17, 1996 Dr. Sloan investigates a photographer, the overly protective mother of Jesse's friend's fiancÃ©e, in the murder of a private investigator. Murder Can Be Murder Oct 24, 1996 A respected cardiologist murders an innocent man in an insurance scam. Dr. Sloan reluctantly investigates his friend. An Explosive Murder Oct 31, 1996 A young undercover detective investigates a militia-type organization to solve a terrorist bombing witnessed by Mark. She has to decide whether to risk blowing her cover and warn Dr. Sloan of an attempt on his life or finish her assignment. Murder by the Busload Nov 7, 1996 A bus accident brings multiple victims into the hospital. Amanda does the bulk of the investigating when its discovered that a casualty in the accident was actually murdered. A Candidate for Murder Nov 14, 1996 His scheming advisor covers up the accidental death of the drug-addicted daughter of a U.S. Senator. Dr. Sloan and Amanda investigate. The ABC's of Murder Nov 21, 1996 An ADA sets out on a vendetta against an Asian youth, against both Mark and Steve's advice, after a drive-by shooting at a high school leaves one teacher dead. Murder in the Family Dec 12, 1996 Mark's daughter returns after eight years, leaving an abusive husband who later turns up dead. In Defense of Murder Jan 9, 1997 When a famous prostitute writes a tell-all book, an executive's job at Community General is in serious jeopardy. A History of Murder Jan 16, 1997 Mark investigates a 30-year old murder when the body of his old mentor is discovered entombed in a wall in the hospital. Murder Two (1) Jan 30, 1997 Jesse is arrested and charged with murder after a doctor testifying against Jesse in a malpractice suit is poisoned. Mark convinces his old friend, Ben Matlock, to defend Jesse. Murder Two (2) Feb 6, 1997 Amanda and Ben investigate the murder of Eric Spindler while Jesse continues to languish in jail. Hard-Boiled Murder Feb 13, 1997 Mark aids an old friend, Joe Mannix, in solving a 25-year-old, unsolved murder. Murder, Country Style Feb 20, 1997 When a musician is found murdered at a Country Music Awards ceremony, Dr. Sloan and company rush to find the culprit before the show ends and the crowd disappears. Delusions of Murder Feb 27, 1997 A devious psychologist uses hypnotism to facilitate his criminal acts, including the murder of his wife. A Passion for Murder Apr 3, 1997 An aggressive female pharmaceuticals representative stalks the hospital's new chief of staff after a one-night-stand, hoping to break up his marriage and have him all for herself. Blood Brothers Murder Apr 10, 1997 A beach boy involved with a gang member's sister is suspected of murdering him. Mark investigates. Physician, Murder Thyself Apr 24, 1997 Dr. Sloan investigates when an unpopular colleague drops dead while performing an operation. Mark investigates his fellow doctors when tests reveal the deceased was poisoned. Murder in the Air Apr 24, 1997 Dr. Sloan and Amanda investigate when the co-pilot of the airplance carrying them to a medical conference is murdered and the remainder of the flight crew are incapacitated with a mysterious illness. The Merry Widow Murder May 1, 1997 A wealthy woman and her boyfriend dupe Mark and plot to murder her husband. Comedy is Murder May 8, 1997 A bungling comedian seeks revenge on his former partner when he's cheated out of millions. The Murder of Mark Sloan May 8, 1997 Dr. Sloan is stalked by a mad bomber whom he helped incarcerate. Norman and Mark are the main dissenters in negotiations to sell the hospital to a corporate raider.